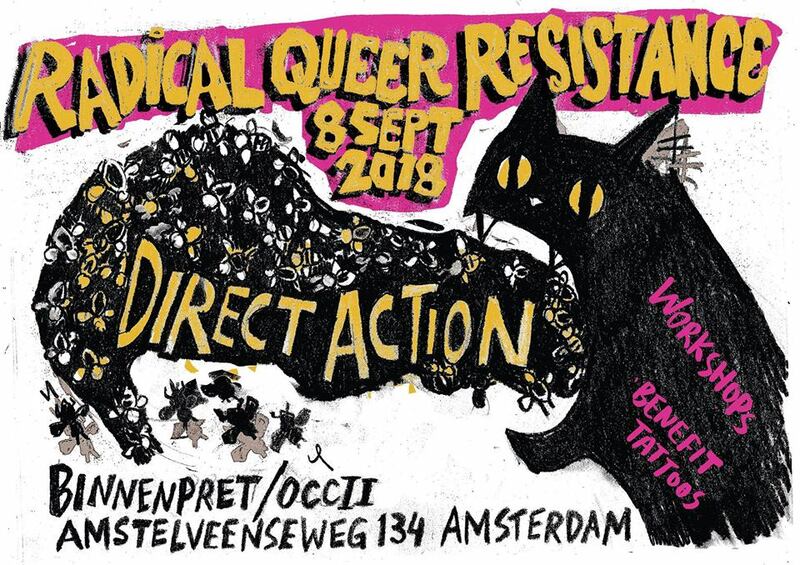 Radical Queer Resistance returns on September 8th 2018 for a one day conference in Amsterdam. Radical Queer Resistance started in Amsterdam in 2017. We are a non-profit, autonomous DIT (do-it-together) event, entirely planned and produced by volunteers. Our planning group includes Transgender Activists, Gender Non Binary Queers, People of Color and Queer Refugees. We oppose white supremacy, xenophobia, authoritarianism, prejudice and discrimination in all its forms. Please also be aware of the fact that our conference is a vegan conference. What unites queers with other marginalized communities is that we all struggle with the compulsory laws and values imposed on us. We are all queers (in the broad sense of the word) with very different backgrounds, each of us experiencing ways of oppression differently. Radical Queer Resistance invites you to Amsterdam for a day of radical queer empowering politics, workshops, discussions and performance.